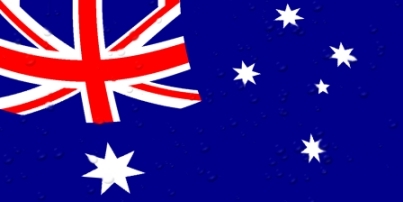 Australia’s Senate has confirmed a series of amendments made to the country’s online gambling laws, which among other curtailments, will effectively ban online poker. Tuesday’s passage of the Interactive Gambling Amendment Bill 2016, which was submitted to the Australian Senate last November by the government’s Minister for Human Services, Alan Tudge, is expected to trigger an immediate exodus by most international gambling providers currently serving the country. The new rules ban all online-gambling activity not specifically authorized within the new Aussie codes, and the authorized activity consists of a single activity — sports betting. Even that activity will be pared down, as the new rules also eliminate any form of “in-play” sports wagering, an activity already officially against Aussie law but which had been enabled by some betting operators via technical loopholes. At least a couple of international gambling services have already exited the Australia market, including 888Poker, which pulled up its virtual stakes in mid-January. Online bingo operator Vera&John was the first gambling operator to leave, back in December, though a large number of firms across most gambling verticals will soon follow. 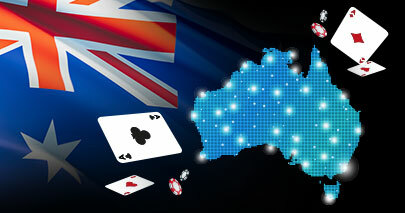 International online-poker market leader PokerStars had previously annoucrd its intention to leave Australia if the updated amendments passed; specifics regarding Stars’ withdrawal from perhaps the largest poker-participation base in the Southern Hemisphere are likely to be made public in the near future. PartyPoker has also expressed its intent to similarly depart. None of the firms who have departed or will so have any realistic avenue to staying in Australia. Unlicensed firms can face heavy fines, and Australia has no licensing path for online poker, casino games, or other forms of gambling. International operators also risk sanctions from regulators in other jurisdictions if found to be willfully violating Australian law. As a result, Australia’s many, many thousands of online players will be forced to play on grey-market sites that serve countries where certain prohibitions are in place, if they choose to continue playing online. Dozens or hundreds of Australia’s most dedicated online playrs may emulate what the top echelon of US players did after 2011’s “Black Friday,” moving to other countries to continue grinding online. Today’s ratification of the Interactive Gambling Amendment Bill 2016 also ends the noble but doomed opposition of Australian Senator David Leyonhjelm. Leyonhjelm introduced an amendment to the gambling-laws update that would have created a carveout for online poker and online blackjack, both of which have demostrable elements of skill. Leyonhjelm, however, is the only sitting Senator from his small Liberal Democratic Party, which has little to no real say in Australia’s national politics. His amendment was quickly killed by the ruling Liberal-National coalition and the strident anti-gambling sentiments of Senator Nick Xenophon. Xenophon’s personal “Nick Xenophon Team” (NXT) party works with the ruling coalition, and Xenophon was widely reported to have had a strong hand in the online-gambling curtailment. Leyonhjelm’s populist and libertarian viewpoint may not have carried the day, but he spoke warmly of Australia’s online-poker community as he decried the passage of the larger gambling bill. Leyonhjelm had warmly greeted representatives of a startup grassroots effort, the Australian Online Poker Alliance, and had taken up the players’ cause. A large number of Australia’s most famous poker players advocated or donated to the AOPA effort, but it never had a realistic chance for success. While Australia’s online-poker players may well consider using a VPN, such manipulation of supposed location and identity is a violation of almost all regulated sites’ terms of service, and can even result in banroll forfeiture. The greater likelihood is that a large percentage of Australian online players will abandon the game for now in the face of the logistic and technical hurdles.